The Vivotek SD9363-EHL outdoor IR network speed dome features a 4.7 ~ 94mm lens, allowing for 20x optical zoom capabilities. The Vivotek SD9363-EHL can record in 1920 x 1080 resolution at up to 60 frames per second using the H.265 / H.264 video compression. The IP66, NEMA 4X rated housing enables the camera to withstand extreme weather conditions, dust, humidity, and temperatures ranging from -58°F to 131°F. The housing of the camera is also IK10 rated, providing protection against direct impact, and acts of vandalism. The pan / tilt mechanism on the camera provides a 360° Pan and a 220° Tilt with fast, precise movement in increments as little as 0.5°. 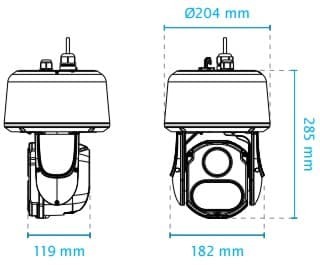 For recording in low or no light environments, the SD9363-EHL features high powered Infrared LEDs with an effective range of up to 150 meter / 490 feet. As the lens of the camera zooms in and out, the Infrared LEDs do the same to match the exact angle of the lens and provide the best lighting possible. 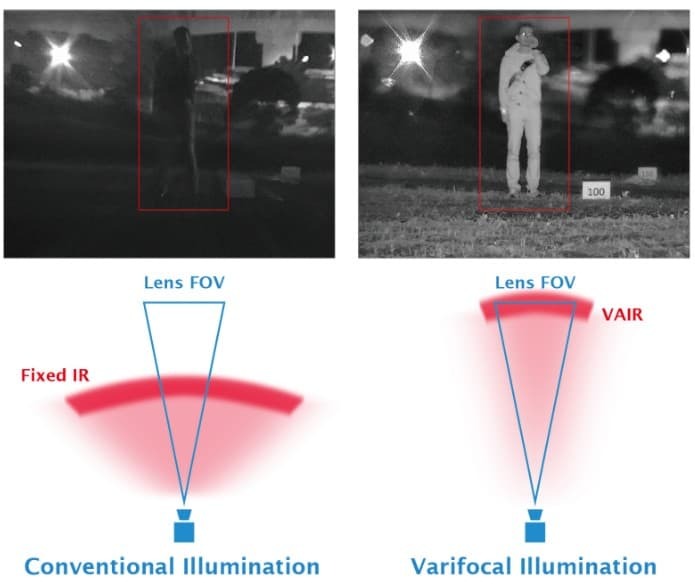 This technology is known as Varifocal Illumination. The Auto Tracking feature provides an instant reaction to suspicious moving objects in wide open environments before anyone is even aware of the activity. This camera has 4 digital inputs and 2 digital outputs for use with external I/O devices such as alarms. It is easily controllable by joystick or mouse and can have up to 128 preset points for automated patrolling. The Vivotek SD9363-EHL features audio detection, allowing it to detect changes in sound levels to provide increased protection against intruders. The Vivotek SD9363-EHL includes a 32 channel Vivotek central management software. Users who wish to capture video clips and snapshots locally can do so with the Micro SD / SDHC / SDXC card slot. Another great feature is the ability to run simultaneous video streams of each H.265, H.264, and MJPEG.